Hovering high above in the Tyrolean sky, feeling free like a bird. You know how it feels like hovering in the sky, high above Tyrolean mountain peaks, feeling free like a bird? Tyrol offers numerous mountains that are perfect strating points for paragliding as well as hang-gliding, e.g. 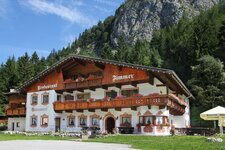 in the area of the Zillertal valley, in the Brixental valley and in the surroundings of Lienz and Wildschönau. Most of the times the slopes are in sunny position and there are lift facilities and funiculars, facilitating the ascent with you equipment. 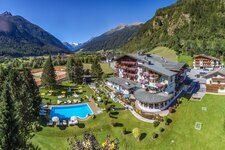 All over Tyrol you can perform paragliding or hang-gliding and enjoy the great experience of flying like a bird. Nevertheless there are several places which are the most popular. Noteworthy is above all the area of the Wilder Kaiser mountain range, which in recent years has been venue for numerous paragliding and hang-gliding events. Also Lienz and surroundings are popular, as it is considered to be weather-stable. Also hang-gliding can be performed nearly all over Tyrol. Perfect conditions offers for instance the Venet, the local mountain of Landeck, where you can also find a hang-gliding school. A perfect way to get a better insight into these sports is a tandem flight. A certificated instructor guides you safely down to earth. Leave behind everyday life and enjoy to be free like a bird high above in the sky. Have fun!